Please turn to number 144 (First Tune) and join with the clarinets in, “For All The Saints Who From Their Labors Rest”. Meter: 10 10 10. With Alleluias. This one is written with the congregation singing in unison for the first section, while the organ plays parts, and the second part with the congregation singing parts. So I couldn’t resist doing something similar. I changed the arrangement up a bit to be unison parts with organ, a capella parts, and then a return to unison with organ accompaniment. I wrote out the organ parts and exported a midi file for them. Imported it into garageband, and then recorded the clarinet parts. Here’s a short biography of R. Vaughn Williams from the Ralph Vaughn Williams Society Webpage. Ralph Vaughan Williams is today fully established as a composer of the utmost importance for English music. In a long and extensive career, he composed music notable for its power, nobility and expressiveness, representing the essence of ‘Englishness’. Vaughan Williams was born on the 12th October, 1872 in the Cotswold village of Down Ampney. He was educated at Charterhouse School, then Trinity College, Cambridge. Later he was a pupil of Stanford and Parry at the Royal College of Music, after which he studied with Max Bruch in Berlin and Maurice Ravel in Paris. At the turn of the century he was among the very first to travel into the countryside to collect folk-songs and carols from singers, notating them for future generations to enjoy. As musical editor of The English Hymnal he composed several hymns that are now world-wide favourites (For all the Saints, Come down O love Divine). Later he also helped to edit The Oxford Book of Carols, with similar success. Before the war he had met and then sustained a long and deep friendship with the composer Gustav Holst. Vaughan Williams volunteered to serve in the Field Ambulance Service in Flanders for the 1914-1918 war, during which he was deeply affected by the carnage and the loss of close friends such as the composer George Butterworth. For many years Vaughan Williams conducted and led the Leith Hill Music Festival, conducting Bach’s St Matthew Passion on a regular basis. He also became professor of composition at the Royal College of Music in London. In his lifetime, Vaughan Williams eschewed all honours with the exception of the Order of Merit which was conferred upon him in 1938. He died on the 26th August 1958; his ashes are interred in Westminster Abbey, near Purcell. In a long and productive life, music flowed from his creative pen in profusion. Hardly a musical genre was untouched or failed to be enriched by his work, which included nine symphonies, five operas, film music, ballet and stage music, several song cycles, church music and works for chorus and orchestra. Please turn your hymnals to number 143 and join with the clarinets in, “Hark! The Sound of Holy Voices”. Text: Christopher Wordsworth, 1807-85 a. The harmony on the third stanza of this one is so close for a hymn, I had to go back and double check my work several times. But, yes, that is the way it is written in the hymnal. Don’t know what to tell you. I guess James Langran was a little odd for his time. Either that or it’s typos. Born: November 10, 1835, St. Pancras, London, England. Died: June 8, 1909, Tottenham, London, England. A pupil of John Calkin, Langran was tutored as organist at St. James’s Church, Edmonton (London). He then served as organist at St. Michael’s, Wood Green (June 1856); Holy Trinity, Tottenham (1859); Parish Church, All Hallows, Tottenham (1870); and St. Paul’s, Tottenham (1870-1909). He was also Instructor to the Training College for Schoolmistresses, Tottenham, from its foundation around 1880, and received a Bachelor of Music degree from Oxford in 1884. Please turn your hymnals to number 142 and join with the clarinets in, “In His Temple Now Behold Him”. This hymn is in celebration of something called, “The Presentation”. From the lyrics, perhaps we can gain a clue. God has now fulfilled his word. Shall break forth with one accord. Ere in perfect faith they die. Lo, the incarnate God Most High! To thy Father, cleansed and pure. Amen. Hm, a little creepy, and not entirely clear. In the Eastern Orthodox Church, the presentation of Jesus at the temple is celebrated as is one of the twelve Great Feasts, and is sometimes called Hypapante (Ὑπαπαντή, lit., “Meeting” in Greek). In Western Christianity, the traditional name for the day is Candlemas, which is also known as the Feast of the Purification of the Virgin, and the Meeting of the Lord. In some liturgical churches, Vespers (or Compline) on the Feast of the Presentation marks the end of the Epiphany season. In the Church of England, the Mother Church of the Anglican Communion, the Presentation of Christ in the Temple is a Principal Feast celebrated either on 2 February or on the Sunday between 28 January and 3 February. In the Catholic Church, the Presentation is the fourth Joyful Mystery of the Rosary. I guess this is more of a “Minor Festival” sort of hymn. Please turn your hymnals to number 141 and join with the clarinets in, “For All the Saints”. Name: ST. MICHAEL (OLD 134th). 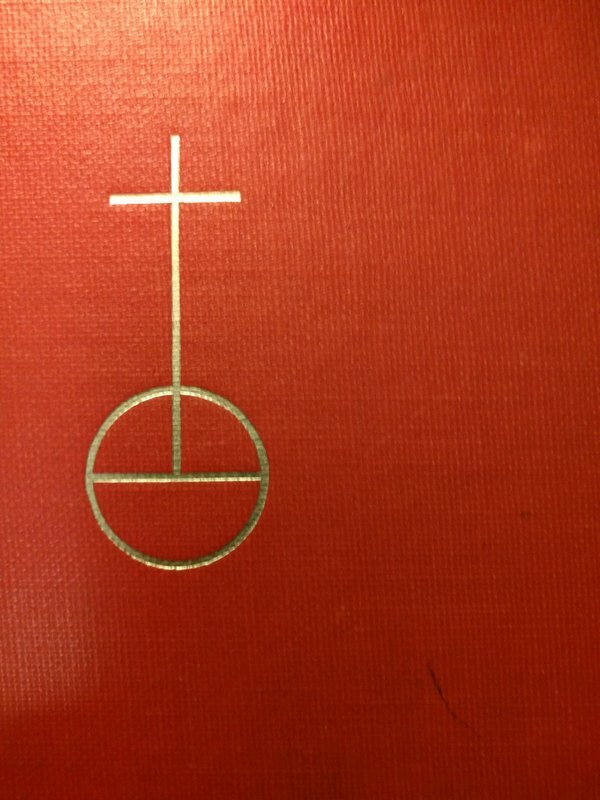 Having finished the hymns for “Trinity Sunday”, we are off to a sort of odds and ends section of the Lutheran Service Book and Hymnal called, “Saints’ Days and Minor Festivals”. Along with the tune for “Old 100th”, the tune for “Old 134th” is also attributed to French composer Louis Bourgeois. Loys “Louis” Bourgeois (French: [buʁʒwa]; c. 1510 – 1559) was a French composer and music theorist of the Renaissance. He is most famous as one of the main compilers of Calvinisthymn tunes in the middle of the 16th century. One of the most famous melodies in all of Christendom, the Protestantdoxology known as the Old 100th, is commonly attributed to him. Louis Bourgeois is the one most responsible for the tunes in the Genevan Psalter, the source for the hymns of both the Reformed Church in England and the Pilgrims in America. In the original versions by Bourgeois, the music is monophonic, in accordance with the dictates of John Calvin, who disapproved not only of counterpoint but of any multiple parts; Bourgeois though did also provide four-part harmonizations, but they were reserved for singing and playing at home. Many of the four-part settings are syllabic and chordal, a style which has survived in many Protestant church services to the present day. Of the tunes in the Genevan Psalter, some are reminiscent of secular chansons, others are directly borrowed from the Strasbourg Psalter; The remainder were composed by successively Guillaume Franc, Louis Bourgeois and Pierre Davantès. By far the most famous of Bourgeois’ compositions is the tune known as the Old 100th. This one definitely seems like a “Saints” sort of hymn. Like Old 100th, this tune is pretty great and lends itself to rhythmic and harmonic re-interpretation. I’d dedicate this version below to one of my “Saints”, Saint Sonny Rollins, for his tune, “St Thomas”. Please turn your hymnals to number 140 and join the clarinets in, “Father of Heaven”. Woo, finished with Trinity Sunday hymns! Though, uh, oops, Trinity Sunday was June 11, so I am almost a month late. Well, as they say, better late than never. In the early Church, no special Office or day was assigned for the Holy Trinity. When the Arian heresy was spreading, the Fathers prepared an Office with canticles, responses, a Preface, and hymns, to be recited on Sundays. 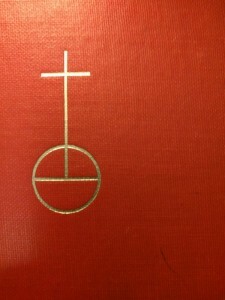 In the Sacramentary of St. Gregory the Great (P.L., LXXVIII, 116) there are prayers and the Preface of the Trinity. The Micrologies (P.L., CLI, 1020), written during the pontificate of Gregory VII (Nilles, II, 460), call the Sunday after Pentecost a Dominica vacans, with no special Office, but add that in some places they recited the Office of the Holy Trinity composed by Bishop Stephen of Liège (903-20). By others the Office was said on the Sunday before Advent. Alexander II (1061–1073), refused a petition for a special feast on the plea, that such a feast was not customary in the Roman Church which daily honoured the Holy Trinity by the Gloria Patri, etc., but he did not forbid the celebration where it already existed. John XXII (1316–1334) ordered the feast for the entire Church on the first Sunday after Pentecost. A new Office had been made by the Franciscan John Peckham, Canon of Lyons, later Archbishop of Canterbury (d. 1292). The feast ranked as a double of the second class but was raised to the dignity of a primary of the first class, 24 July 1911, by Pius X (Acta Ap. Sedis, III, 351). Since it was after the first great Pentecost that the doctrine of the Trinity was proclaimed to the world, the feast becomingly follows that of Pentecost. Please turn your hymnals to number 139 and join with the clarinets in, “Glory be to God the Father”. In my opinion, there is nothing that sounds better on a bunch of clarinets than a good minor dirge. Both Bonar and Cruger had more than their share of beauty, tragedy, and hardship to capture in song. Horatius Bonar [pronunciation?] (19 December 1808 – 31 July 1889), a contemporary and acquaintance of Robert Murray M’cheyne was a Scottish churchman and poet. He is principally remembered as a prodigious hymn-writer. The son of James Bonar, Solicitor of Excise for Scotland, he was born and educated in Edinburgh. He came from a long line of ministers who have served a total of 364 years in the Church of Scotland. One of eleven children, his brothers John James and Andrew Alexander were also ministers of the Free Church of Scotland. He had married Jane Catherine Lundie in 1843 and five of their young children died in succession. Towards the end of their lives, one of their surviving daughters was left a widow with five small children and she returned to live with her parents. In 1853 Bonar earned the Doctor of Divinity degree at the University of Aberdeen. Bonar’s wife, Jane Catherine Bonar, died in 1876. He died 31 July 1889. They are buried together in the Canongate Kirkyard in the lair of Alexander Bonar, near the bottom of the eastern extension. Johann Crüger (9 April 1598 – 23 February 1662) was a German composer of well-known hymns. He was also the editor of the most widely used Lutheran hymnal of the 17th century, Praxis pietatis melica. In 1628, he married the widow of a city councilman. During the Thirty Years’ War, Crüger and his family endured many hardships including hunger. He fell ill with plague, and almost died of that disease, losing five children and his wife in 1636. In 1637, having recovered from the disease, he got married a second time, to the 17-year-old daughter of an innkeeper, with whom he had fourteen children, most of whom died at a young age. One of his daughters married the court painter Michael Conrad Hirt, who made a portrait of Crüger in 1663. Crüger died in Berlin. Please turn your hymnals to number 138 and join with the clarinets in, “Most Ancient of All Mysteries”. On the other hand, this is not a particularly interesting hymn. It’s not bad or anything, just not particularly harmonically interesting. The lyrics, from Francis William Faber, however, are nicely poetic. That Thou art what Thou art. Faber was born in 1814 at Calverley, then within the Parish of Calverley in the West Riding of Yorkshire, where his grandfather, Thomas Faber, was the vicar. His father served the local bishop of the Church of England as his secretary. Faber attended grammar school at Bishop Auckland in County Durham for a short time, but a large portion of his boyhood was spent in Westmorland. He afterwards attended the Harrow School for five years, followed by enrollment in 1832 at Balliol College at the University of Oxford. In 1834, he obtained a scholarship at the University College, from which he graduated. In 1836 he won the Newdigate Prize for a poem on “The Knights of St John,” which elicited special praise from John Keble. Among his college friends were Arthur Penrhyn Stanley and Roundell Palmer, 1st Earl of Selborne. After graduation he was elected a fellow of the college. Faber’s family was of Huguenot descent, and Calvinist beliefs were strongly held by them. When Faber had come to Oxford, he was exposed to the Anglo-Catholicpreaching of the Oxford Movement which was beginning to develop in the Church of England. One of its most prominent proponents was the popular preacher John Henry Newman, vicar of the University Church of St Mary the Virgin. Faber struggled with these divergent forms of Christian beliefs and life. In order to relieve his tension, he would take long vacations in the Lake District, where he would write poetry. There he was befriended by another poet, William Wordsworth. He finally abandoned the Calvinistic views of his youth and became an enthusiastic follower of Newman. Please turn your hymnals to number 137 and join with the clarinets in, “Ancient of Days”. Meter: 11 10, 11 10. Fairly rhythmically and harmonically interesting, this one gave me something to chew on and develop over its short course. Not often you see dotted eighth notes and 16th notes in hymns! Jeffery (sometimes misspelled as Jeffrey) began playing the organ at St. Anne’s Cathedral in Plymouth at age 14, taking over his father’s position. He emigrated to America in 1876 and settled in Albany, New York. He developed a chorus and directed the music at St. Agnes School, and played the organ at the Protestant Episcopal Cathedral. He left for Yonkers, New York, in 1893, and served at the First Presbyterian Church. Later, he taught music at the New England Conservatory. What’s Up With the Hymns? Apparently, this whole “Lutheran Hymn” thing puzzles quite a few people, so I thought I might write a little post about it. First off, I grew up in a small town in South Western Wisconsin which was mostly populated by Norwegian and Lutherans. I grew up singing these hymns every Sunday. When I was old enough, I joined the children’s choir and continued in church choirs through most of high school. Recently, I’ve been reading a lot of memoirs and interviews with musicians, and a lot of them talk about their very early inspirations. Many of those musicians were lucky enough to have grown up going to African American Gospel churches or to belong to some ethnic group with an interesting folk music tradition. However, as mentioned, I grew up going to a Lutheran church in Wisconsin. That is my tradition, and in a lot of ways, my “folk” music. That, and “Old Tyme Gospel Music”. But perhaps more about that later. I find the basic harmonies and melodies of these old hymns, especially the more open ones, to be quite moving and powerful. When I was looking around for some music to learn and play on the clarinet, I thought to myself, “Hey self! It might be funny to track down a Lutheran Hymnal, and learn those old hymns on the clarinet.” Get re-in touch with the memories and feelings of my youth, good and bad. As a bonus, the hymns are neither particularly challenging nor long, which is, in fact, a big bonus for someone with a full time job who is also trying to (re) learn Jazz and to play the clarinet and sax. I can transcribe, transpose, and record all 4 parts of the hymn in a few hours, and it is good for me to learn the recording, mixing, and arranging software. Most important, I am re-learning to play harmony parts with other instruments, even though I am playing all the instruments myself. So, that’s what’s up with the hymns. I hope you enjoy them a little bit, and that they might remind you of something of your past or present, good or bad.